I gave y’all a heads up about this a while back, and now I’m quite pleased to present this Boosting the Signal feature on Cycling to Asylum, the new book by Su J. Sokol. It’s noteworthy to me not only because it’s queer-friendly SF/F, but also because it’s set in Quebec! Which, as I keep saying, is highly, highly relevant to my interests. Su’s character Laek has a goal of taking what began as a coping mechanism for dealing with a stark, painful childhood and turning it into a reality of justice for all. Side note: Boosting the Signal remains on informal hiatus until I’m done with Victory of the Hawk, but Su had this piece ready for me and I wanted to go ahead and run it. More Boosting the Signal will be back in August! The doctor says I have to stop going to New Metropolis. He said, “Laek, that thing you do…disappearing inside your mind. I knows it’s been an important survival mechanism for you, but it’s really very scary.” Then he told me that he understands. But he doesn’t. Not really. I first created New Metropolis when I was eight years old. Living with “the Community.” Yeah, the cult. The one that lived in the dome. Where they had the weather experiments. We were cut off from the world, with no natural environment. And under the power of one powerful man. Maybe I deserved the punishments. I was a stubborn kid. I wasn’t good at conforming. I’m just not made that way. They called it the thinking place. An opportunity to consider the bad choices I’d made. My “decision” to isolate myself from the group. The place was a windowless cell. No one was allowed to talk to me. I don’t know when the hallucinations began. I was eight. I didn’t think to try to mark the time. Don’t know how I would have anyway. Day and night were one. The food tasteless, always the same. Even when I screamed, they still wouldn’t answer me. One night I dreamed about New Metropolis. A place where people could live. A good place. They city would welcome me and would be filled with friends. I built New Metropolis from scratch. Named every street myself. I imagined the squares, the fountains, the parks. Things I’d seen on my mother’s screen. I imagined with my mind and my heart and when the details were clear enough, the city began to form around me. One thing about New Metropolis, there are lots of playgrounds. Even now that I’m grown, I can still find them. When I was in the thinking place, I went to one every day, every night. I loved the swings the most. And the climbing cube. I met lots of other kids. Some were my age but most were a bit older. I liked older kids. They tried to help me. At night, we’d all sleep under the g-slides. Or in the sandbox. I could feel my friends all around me. They held me tight at night and they let me cry if I needed to. He came on my last day in the thinking place. He, himself. The man who was everyone’s father or lover or both. I woke up and he was in the room with me. I had been so afraid of him, but when he opened his arms, I came. I clung to him shamelessly. After they let me out, I was careful not to forget New Metropolis. I repeated the details of the place in my mind. I grew it larger, made it more real. I went back there many times. When I suffered other punishments. When the pain was too much. The city always welcomed me. Each visit taught me more about it. I carved the details into my soul. I escaped from the Community when I was fourteen. Maybe I could have managed to do it when I was younger. I was afraid, though. Not of the world, no. Of being alone. It’s something I can’t bear. I learned that about myself. Learned it in the Thinking Place. So what if I was still off the grid. I was in the world. The real world. I didn’t think I’d need to go back to New Metropolis. I was wrong. I was fifteen the first time I was arrested. And still off the grid. Back then, they didn’t do the iris scan until sixteen. And I had no g-print. A gift from the Community. I wouldn’t give the cops my name. I wouldn’t betray my group. I went back to New Metropolis instead, so I could bear the beatings and…and the other things they did to me. The city kept my mind safe. My body would have to fend for itself. Once I met Janie, I stopped needing to go to New Metropolis. She kept me safe. She and Phillip. They held me fast in the real world. In New York, my adopted city where I had a life, a family, my kids, my work as a teacher. I taught social studies—history, geography, political science. I was still an activist, but I had to keep my past a secret. I was on the grid, more or less. I even used my real biometric data. The hack my group had done to my Uni—my ID—it worked. More or less. Until that day. That day when the federal cop found me biking home from the teacher’s union meeting. I had to let him…It doesn’t matter. I wasn’t really there. I went to New Metropolis and it was intact, waiting for my return. Here’s my secret. Not the secret about my past but the secret of my heart. I believe that New Metropolis is real. It’s why I’m still an activist. Why I was willing to bring kids into a world that has so much pain and injustice. I don’t know exactly where New Metropolis is or how to get there, but in my heart I know it could be real if only we would work hard enough to create it. It has something to do with social justice. With solidarity and working collectively. It also has something to do with borders. With annihilating them. Or just not believing in them anymore. Maybe we can step across those false borderlines. Step across them holding hands and there, right there before us, will be New Metropolis, open and waiting and beautiful, ready to give shelter to all who need it. Special purchase notes from the author: In Montréal, the book is available at Librarie Paragraphe Books, Librarie Drawn & Quarterly Bookstore, Argo Bookshop and Coop La Maison Verte. 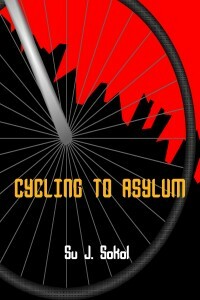 In New York, Cycling to Asylum can be purchased at The Community Bookstore. 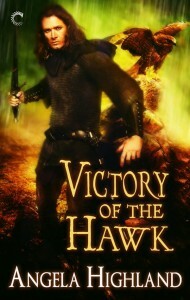 Libraries and bookstores can also order the book from Red Tuque Books, the distributer.